At his first meeting as President of ICA Housing, Mr David Rodgers started by paying tribute to the former President, Mr Mike Doyle. Under his presidency, ICA Housing has got its finances and administrative practices in order, a mission statement and long-term goals were approved, annual work plans were established and agreed and staff hired to assist the Board to achieve its goals. Recognizing that the focus of the last few years was largely internal the Board agreed a work plan focused on adding value to members while continuing to improve the administrative practices of ICA Housing. Providing face-to-face opportunities to discuss and share relevant information, pursuing the development of electronic communication exchange and responding to the best of its capacities to threats faced by housing co-operatives around the world – are examples of what the Board aims to accomplish. To help achieve these objectives CDS Co-operatives in the UK and the Co-operative Housing Federation of Canada agreed additional financial and staff resources to ICA Housing. The ICA Housing Board confirmed its intention to formalize its relationship with CECODHAS Cooperative Section through a Memorandum of Understanding. The objective motivating this initiative was twofold. Firstly, the Board wished to ensure that all its European ICA Region members, including those from member states that are not members of the European Union and therefore not eligible to be full members of CECODHAS, are able to participate in the decisions made at the CECODHAS table that have an impact on them. ICA Housing has three European members in this category. 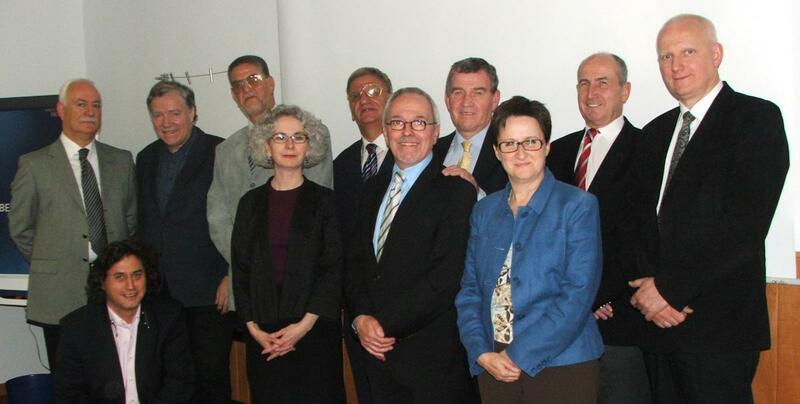 Secondly, the Board is committed to encourage collaboration and avoid duplication of meetings and effort in Europe. Joint meetings and events are examples of initiatives that can be planned in co-operation with the Co-operative Section of CECODHAS (now called Housing Europe – CECODHAS). General Mohamed Elmessiri, Chairman of the Egyptian Co-operative Housing Federation gave a brief presentation of the housing co-operatives movement in Egypt. The movement is confronted by 3 major difficulties: the high price of the building materials, the high price of the land and the limited financial assistance from the State. These high costs make it difficult for a large majority of people to buy a home. For more information on housing co-ops in Egypt click here.